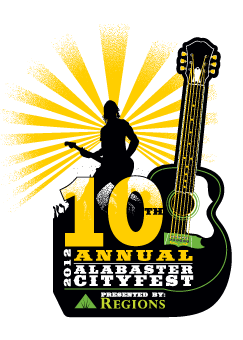 Alabaster CityFest 2012 is this coming Saturday, June 2nd. This FREE festival includes live outdoor concerts, kids’ activities and inflatables, arts and crafts vendors, and FUN for the entire family. On the main stage: Lonestar, Everclear, Vallejo, 2Blu & The Lucky Stiffs, and Deputy 5. Attractions include the Cruise-In Car Show and The Flying K-9s Dog Show. KidFest Activities include Hands-on arts and crafts, Lowe’s Build-it workshop, BHM Drum Circle, Pony Rides and Bungee Jump. The city of Alabaster is just south of Birmingham. 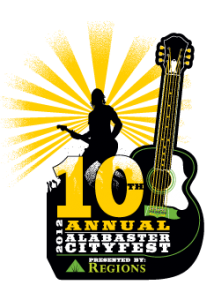 Alabaster CityFest is located in Alabaster on the grounds of the Alabaster Municipal Park and Thompson Middle School and includes FREE parking and FREE shuttles. Event times and everything you need to know is posted on their website.